PETERBOROUGH’S roller-coaster 2018 season came to an end with a 56-34 defeat to Lakeside at Rye House on Wednesday. 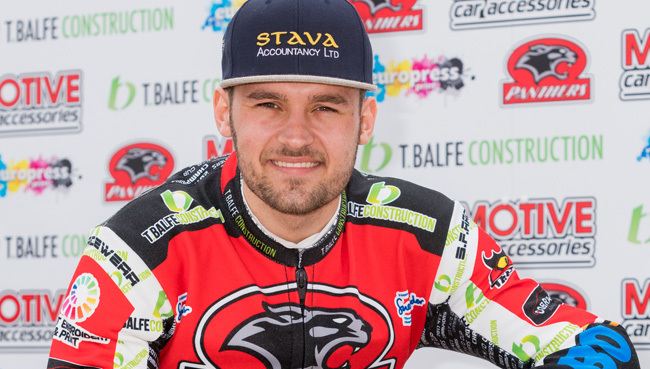 The patched-up T.Balfe Construction Panthers, tracking just two of their regular line-up, therefore miss out on a place in the Championship Grand Final, with the Hammers progressing to face Workington this weekend. 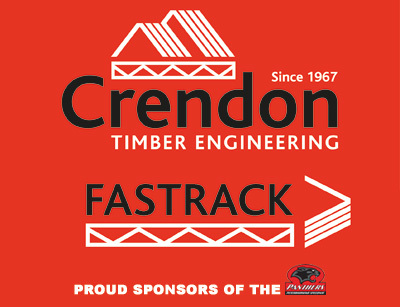 Panthers have to console themselves with the knowledge that they finished top of the table over the course of the season, and that at least their guest-filled side performed better at Hoddesdon than in Sunday’s abandoned fixture. Unfortunately they had little answer to the Hammers’ big guns, whose only dropped points came with a Heat 6 fall for Richard Lawson and a Heat 15 disqualification for Adam Ellis – and reserve Ben Morley also contributed paid-13. It left Panthers restricted to one race winner, that coming courtesy of Emil Grondal, but they did not suffer the barrage of advantages that went against them on Sunday. Trailing by two points on aggregate with the scores reset to 46-44 in Lakeside’s favour from the first leg, Panthers shared two of the first three races, just conceding 4-2 in Heat 2 when Carl Wilkinson fell on the first lap. Last-minute stand-in Theo Pijper worked hard to split Nick Morris and Alfie Bowtell on the last lap of Heat 4 to prevent a 5-1, but the Hammers moved six-up with another 4-2 in Heat 5 as Grondal tumbled out – although Ashley Morris overhauled Kyle Newman for second. Lawson erred in Heat 6 when chasing Pijper, allowing Wilkinson through for a shared heat, but the home side recorded the first 5-1 in the next from Nick Morris and Morley, which was a major setback against a Panthers pairing of Ashley Morris and Thomas Jorgensen. Grondal took what proved the visitors’ sole success in Heat 8, the race being shared as skipper Simon Lambert fell, whilst Pijper suffered a start-line exclusion in the next although mechanical trouble for Kyle Newman ensured another 3-3. Heat 10 saw Lakeside extend the lead to 12 points, and 14 overall, with a win for Lawson over Jorgensen, who had been involved in a first-bend tangle with Zach Wajtknecht, the Hammers rider not taking part in the re-run as Morley came in to take third. The next two heats were shared as Lakeside moved towards their victory target, held up somewhat by Wilkinson’s pass of Bowtell in the twelfth. At that stage it was 42-30 on the night but the Hammers swept clear in the closing races, taking their second 5-1 in Heat 13 from Nick Morris and Lawson to secure their aggregate victory. Morley then took centre-stage late on, heading up a 4-2 in Heat 14 and then coming in to partner Lawson to another maximum in the last after Ellis had been disqualified for moving before the tapes rose. Panthers manager Carl Johnson said: “It was certainly a much better performance than Sunday, but obviously we suffered with a lack of race winners. “You look at the class they’ve got in their top three, and they pretty much went through the card. “We always knew it was going to be difficult, but we thought with packing the middle order to make ourselves solid, we could probably stem the heat advantages. “You have to sacrifice something, and by doing that it left us short of heat winners. We were fairly consistent, and everyone scored with Emil picking up eight. LAKESIDE 56: Ben Morley 12+1, Nick Morris 12, Adam Ellis 12, Richard Lawson 10+2, Zach Wajtknecht 5, Alfie Bowtell 3+1, Kyle Newman 2. PETERBOROUGH 34: Emil Grondal 8+1, Ashley Morris 7, Theo Pijper 6, Thomas Jorgensen 5+1, Carl Wilkinson 4+2, Simon Lambert 4+2, Scott Nicholls r/r. Lakeside win 102-78 on aggregate.